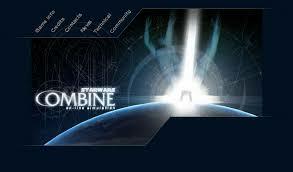 Star Wars Combine (SWC) is a game I had not heard of until a Massively article. Immediately it caught my attention, so I thought I would check it out. SWC is a browser-based game. Hold on, I know. I am usually not a fan of browser games. I am not sure why, maybe just because I have never actually played one that I enjoyed. SWC has nothing in common with the plethora of browser games out there. SWC is a MMORPG game based in the Star Wars universe. It is free and has been allowed to exist by Lucas Arts. It is loosely set after Star Wars Episode 4: A New Hope. However it is a changing universe, fully controlled by the players. That's right, players create the story as they go along. No static world like most major MMO's. Entirely real-time. Traveling to another planet will actually take hours. I think this is a great mechanic, as it no longer means those who sit at the keyboard the longest wins. Since it is browser based, you could play from anywhere too. Several dozen races to choose from. I think Every Star Wars race is represented, each with their own advantages/disadvantages. Dozens of different skills to put points into. All factions are player run. Another major feature this game has is it is very hands-on for the administration team. When you create a character name, it must first be approved. No longer will you see crappy and out of place names. This also applies to player-created factions. There are a number of requirements (not just money and people) to create a Faction. You must have a website, banners, history and it all must be approved. this leads to tremendous quality. One thing you should know is that the game is in development. There are many features and systems not yet in the game. If you are looking for a combat heavy game, this may not be it. Also, not all skills have a function, so be sure to keep that in mind when allocating points. There usually seems to be ~300 people on at a given time. This is just based on 1 day, so it may be more or less. I have not done much in game yet, so I couldn't say whether this is good or bad. Sounds interesting, but ... how exactly does travel that takes hours not benefit people with tons of time? Incidentally, that's my big hangup with sandbox games -- they give an enormous advantage to players with tons of time. Because there is nothing else to do. Right now I am flying to a very close planet. it will take almost 3 hours. I go outside, do work, whatever and come back in 3 hours :) You don't have to be logged in or anything. I'm so going to look that game up. Dang you, Werit, for luring me into this. SWCombine is the ultimate time sink for a RP sucker like me. I've spent hours already and I haven't even seen the NPC's I'm supposed to, because I've been discussing with players and other NPC's in the starting compound. I Hate You for introducing this.